Structured on a massive 50-payline game, the slot has a hatful of bonus rounds and features to look out for, yet there is still plenty of in game features to help players out. As with all WMS slots you are guaranteed fantastic graphics and sounds. Each part of the slot has been crafted to give a great looking cartoon styling, making this a truly retro version of this timeless classic. A neat little feature is the animations played out when a winning line is hit: from Gold dust to Gold Coins each one is a great distraction from the bonus rounds. The games main feature is the free spins round and is triggered when Pots of Gold symbols are spun on reels 1, 2 and 3 are the key to the free spins. Once taken to the next screen players are awarded with 10 free spins, with each one having the advantage of being blessed with ‘Freeze Wilds’. This is a great feature within the game as it gives players the chance to really boost their accumulated winnings with wilds becomes ‘stuck’ for the remaining spins. The free games can be re-triggered just once with another 5 spins awarded if you are lucky enough to get this. The absence of any multipliers within the free spins is no hindrance as from our experience the game provides enough winnings not be to despondent. This is a truly rare feature in WMS projects but Leprechauns Fortune features a brilliant ‘double up’ round after a winning line is hit. This is a totally optional game, yet daring players have the chance to really boost their winnings by choosing the next card turned. The choice of Red or Black has never been so crucial, and there is a limit of 5 gambles with a limit of 5,000 coins. It is safe to say there are better versions of this timeless classic yet the game is sure to appeal to plenty of big stakes players down to its high variance payouts. 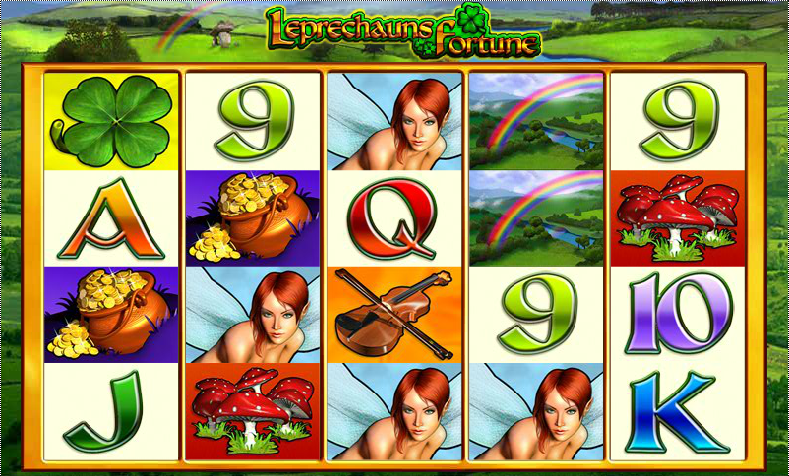 You can get stuck into this Irish themed slot at Betfair Casino now.